LOS ANGELES - A South L.A. father accused of fatally stabbing his 6-year-old son was scheduled to make his first court appearance Monday morning, reports CBS Los Angeles. 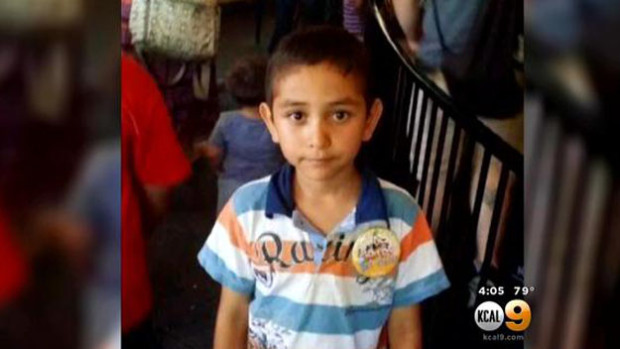 Police arrested Alejandro Sanchez, 38, on Thursday in the death of his first-grade son, Nathan. The attack happened around midnight on Thursday, according to the Los Angeles Sheriff's Department. There was no motive given for the attack. Reports say when police arrived on the scene, they found Alejandro Sanchez screaming and covered in blood. Authorities tried to administer CPR before transporting the young boy to a local hospital where he later died from his wounds, reports the station. According to neighbors, Alejandra Sanchez had a history of drug and alcohol abuse and his young son showed signs of abuse. Reports say Nathan Sanchez's mother died shortly after he was born and he lived with his father. Alejandro Sanchez isbeing held on $1 million bail in a Los Angeles county jail.